Sally Hansen and NYC New York Color Sparkle for the Holidays! 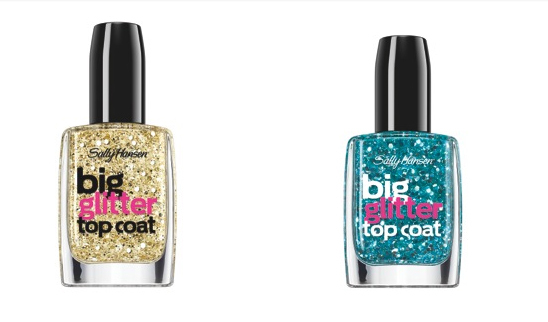 With the holiday season fast approaching, Sally Hansen and NYC New York Color have just the sparkle to get you in the holiday mood. Please see below for the amazing top coats from Sally Hansen and NYC New York Color to add that perfect finishing touch to your nails! Sally Hansen Complete Salon Manicure Sequin Overcoat Collection ($7.99): Layered over your favorite Complete Salon Manicure Color, the seven chic shades of shimmering sequin polishes will instantly amp up your manicure. The polish features a Precision Brush that’s rounded to fit the curve of your cuticles and perfectly shaped to hug the contours of your nails. Available shades are: Blush Over Hue, Crown Jewels, Over the Rain Blue, Radiant Royal Blue, Strawberry Shields, Open Mica Night, Cheery on Top. 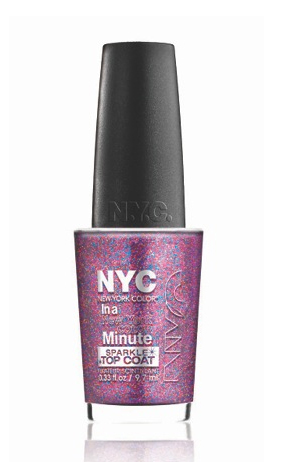 NYC New York Color Big City Dazzle Sparkle Topcoat ($1.99): Take your nails from the office to after-hours with a quick-drying coat of sparkle from NYC New York Color. Apply to bare nails for sheer shine effect or layer it over your favorite nail color for a bold, eye-catching look. Which ones are you guys looking forward to the most? I personally can't decide, bring on all the glitter I say!